Umber is a hydrated iron oxide that also contains significant manganese, calcia, alumina and silica. 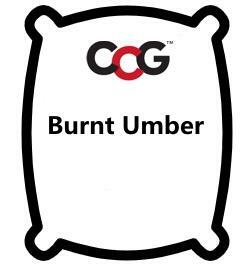 When umber is calcined (referred to as "burnt" because it is done to lower temperatures), the colour intensifies. The material is used to colour many products (e.g. for construction), in ceramics it is used to darken the fired colour of clay bodies or engobes.